Sahel meaning a semiarid region of western and north-central Africa extending from west to east Africa i.e., stretches across the entire continent of Africa from western cost to the red sea. It is located south of the Sahara Desert and north of and south of savanna land. Countries in east Africa such as Eritrea, Ethiopia, Somalia, South Sudan, Sudan Djibouti, and Kenya are included in this category of a climate that forms a transitional zone between the arid Sahara to the north and the belt of humid savannas to the south (see fig.1 below). Other forage for the region’s livestock (camel, pack-ox, and grazing cattle and sheep) (see fig. 3 below), Agriculture plays a central role for food security in the region that employs most of the regional’s work force. It contributes to its gross domestic products. However; the limited annual rainfall (i.e. ; three to four months), low use of external inputs in its agricultural system (i.e. ; the absence of mechanisation, seeds, and fertiliser) remains the agriculture of the region highly underdeveloped. The strong climate variations and irregular rainfall in the region pose obstacles for food security and reduction in poverty in the past four decades  (see fig. 4 below). Various factors have accounted for environmental crises. 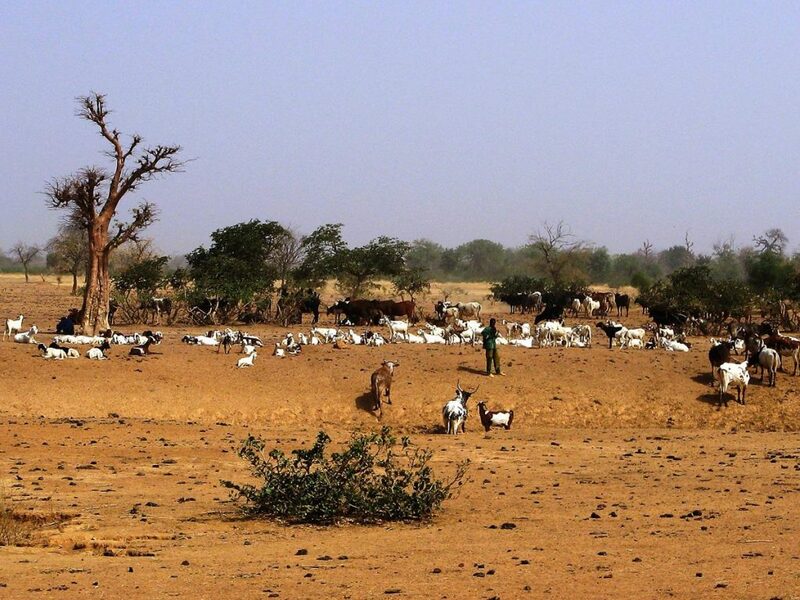 “ over the half century” UNEP notes, “ the combined effects of population growth, land degradation, (deforestation, continuous cropping and overgrazing), reduced and erratic rainfall, lack of coherent environmental policies, insecurity and political instability in the region, and misplaced development priorities have contributed to transition a large proportion of the Sahel barren land, resulting in the deterioration of the soil and water resources”. In recent times the growing human populations for town dwelling, for fire woods and farmers strip trees and scrub cover to obtain fire woods and grow crops has afflicted increasing the region by soil erosion and deforestation that results into environmental crises in the region  (see fig. 5 and 6 below). The recent development in political arena that followed by peace agreement among the three countries Eritrea, Ethiopia and Somalia would give a path for environmental management to emerge as a major role in combating the environmental crises that the Sahel regions face at this critical moment. Environmental crises cannot be solved by one country alone, however; it’s the combined effort of the people and the governments in the region can tackle the environmental problem before its consequence lasts for long in the region. We, the membership of this organisation concludes that after long years of waiting the initiation of political peace in the region, agreed a need to establish environmental management organisation to deal environmental problems that had been there and would rise again because of the economic development that comes to the region enthusiastically soon after peace development. Environmental management has a broad definition in relation to its concern and involvement. It is concerned with the understanding of the structure and function of the earth system as well as the ways in which humans relate to their environment that is the description and monitoring of environmental changes, with prediction the future changes and with attempts to maximise human benefits and to minimise environmental degradation due to human activities. It involves all people with different backgrounds, many stakeholders, many special scales; ranging from local to the global, governmental and non-governmental organisation in its decision-making process. However, there is a political involvement in the decision process as some countries to exercise their power over the others on the use of natural resources. Thus, in general it is better to define environmental management as the management of human activities and their impacts to the environment and the meeting and improving provision for human needs and demands on sustainable bases with minimum damage to natural habitat and ecosystem. Environmental resource management is the management of the interaction and impact of human societies on the environment. It aims to ensure that ecosystem services are protected and maintained for the future human generations, and maintain ecosystem integrity through considering ethical, economic and ecological variables. Sahel countries have potential resources that can be utilised with the economic development in the region, for examples; industrial mining development in Eritrea, industrial sites development in Ethiopia in large scale, oil exploration and production facilities Somali region; Ethiopia, oil refineries development in Sudan and South Sudan, plan for gold mining in Sudan close proximity to Nile river, Djibouti and Kenya large scale expansion of port services, fishing industrial development in the Red sea zone and Indian ocean coastal line and etc need environmental management to protect from polluting the human society and the environment in the region  (see figs. 7, 8, 9 and 10 below). Fig. 7 shows Eritrea Bisha Mining processing plant (Gold, Silver, Zinc and Copper production site). Our organisation goal in this regard to the region is achieve sustainable development with environmental protection. This is by addressing the regional governments to have a joint environmental enforcement regulation or a coherent environment policy that allows monitoring these industrial activities in the region to protect the environment. We collaborate and work together with relevant international environmental protection organisations so that measures can be taken to governmental activities that follows unsustainable programmes in the regions. There are different types of pollution that cause the air, water, land or other parts of the environment dirty and not safe or suitable to use. Pollution is occurred as a result of contamination of natural environment. The contaminants don’t need to be tangible and are introduced to the environment by manmade activities. 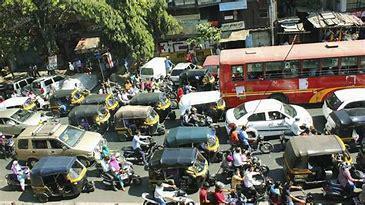 Worldwide millions and millions of people can be affected by pollutants in the environment. The air we breathe has chemical composition that 99 percent made up of nitrogen, oxygen, water vapor and inert gases. 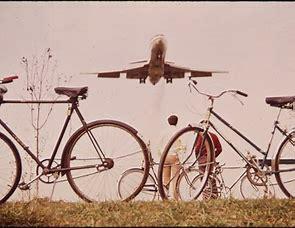 Air pollution occur when things that aren’t there normally are added to the air. A common type of air pollution in the Sahel countries happens when particulates are released from burning fuels, dangerous gases such as sulphur dioxide carbon monoxide, nitrogen oxide and chemical vapours. These particulates can take part in further chemical reactions once they are in the atmosphere, creating acid rain and smog (see fig. 11 below), and finally the can take the form of greenhouse gases ( the greenhouse effect is when gases absorb the infrared radiation that is release from the earth, preventing the heat from escaping; this in turn warms the atmosphere) such as carbon dioxide or sulphur dioxide, which are warming the planet through the greenhouse effect (see fig. 12 below). Fig. 12 Schematic drawing shows causes and effects of air pollution: (1) greenhouse effect, (2) particulate contamination, (3) increased UV radiation, (4) acid rain, (5) increased ground-level ozone concentration, (6) increased levels of nitrogen oxides. The effects of air pollution on human health not only through the indirect effect that release of greenhouse effect on the climate change but also have direct impact to human health that can widely vary depending on the pollutants. They may cause respiratory illness, cardiovascular disease, and increase in asthma. The air pollutants may be carcinogenic (e.g. some volatile organic compounds) or biologically active (e.g. some viruses) or radioactive (e.g. Radon) . Our organisation acknowledges the environmental problem that is caused by air pollutants in the regions and its contribution to global greenhouse effect and we put our effort in tackling and addressing the emission of greenhouse gases in the region through environmental management such as by monitoring these gases emissions; in the cities, in industrial sites and oil production and refinery facilities in the region. We encourage Sahel countries to develop sustainable projects, renewable energy projects such as; solar system, wind turbines, and geothermal energy and the use of renewable energy in public transportation sectors. Most importantly we promote the awareness of pollutants and their impacts to the public health via governmental media, advertisements, distributing awareness leaflets, publishing and updating climate change reports (such as UN Conference in 2015 Paris Agreement on climate change1 and Sir David Attenborough; a naturalist who spoke at UN Climate Conference in Poland2 on Monday 3/12/2018, he blamed humanity for the ‘global disaster’ and warned to the collapse of civilizations and extinction of much of the natural world ‘is on the horizon’ due to the rising of sea levels in astonishing level recently, reporting the regional activities back to the people in the region and from the region to the rest of the world. water pollution is caused by when chemicals or dangerous foreign substances are introduced to water, including chemicals, sewage, pesticides, and fertilizer from agriculture, or run off, or metals like lead, mercury, copper, cadmium. According to Environmental Protection Agency (EPA), lakes, and estuarine in most cities can be affected by common contaminates such as bacteria, mercury, lead, copper, phosphorous and nitrogen in developed countries and are not clean enough for fishing and swimming. 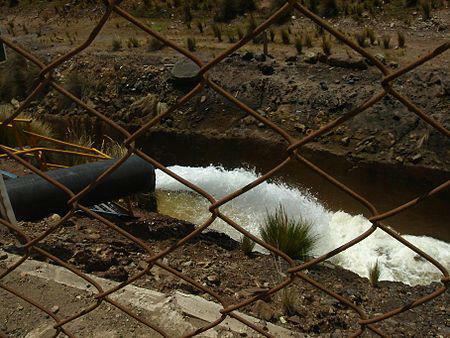 These contaminates mostly come from agricultural runoff, air deposition, water diversions and channelization of streams especially in Ethiopia, Eritrea, Kenya, and South Sudan where the rivers come from high lands and if the big rivers are contaminated it will affect the streams and small channels of water that go to low land areas or neighbouring countries. 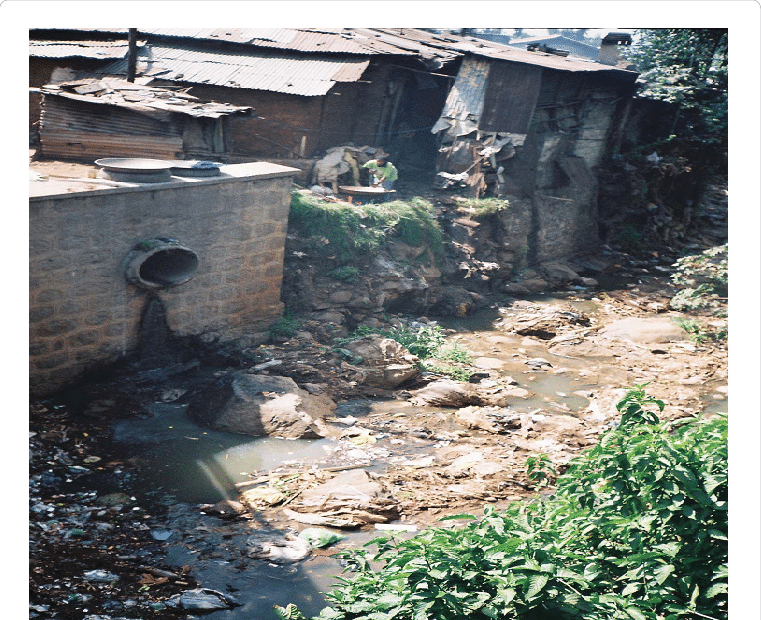 The lack of adequate sanitation can increase sewage and other contaminates to enter the water supply. Sewage can reduce the level of dissolved oxygen through the decomposition of organic materials that enter water, and this runoff water can contaminate the land which then severely affect marine life through polluting the marine environment (see fig. 13 below). Fig. 13 shows Faecal sludge collected from pit latrines is dumped into a river at the Korogocho slum in Nairobi, Kenya. Nitrogen as nutrient can be applied to the soil using fertilizer during farming and the runoff water from the farming land can enter water bodies that make algae grow. When the algae grow at excessive rate, it blocks light from other plants and lets the plants die (see fig. 14 below). 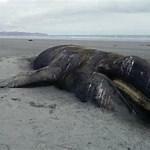 Their decomposition leads to less oxygen in the water that eventually kills aquatic animals. The biggest environmental threats are from big rivers in the region where many countries share one river or running across the two or more countries such as Nile river, Wabe-shebele river, Awash river, Gebe river and Victoria Lake, etc. The contaminate happens to one area can bring environmental disaster to the other regions in the area. For example, South Sudan has a plan to build more than one oil refinery plants and with many streams of Nile river the country may contaminate the downstream of Nile basin countries unless the government of South Sudan takes a policy priory given to environmental protection. The same patterns apply to the other Sahel countries in the region as well. The emerging metropolitan cities such as Addis Ababa, Nairobi, Khartoum are expanded and have been developing in the last decade without a proper and adequate sewage and industrial waste treatment facilities that enable their capacity of population growth and economy at such fastest rate. This series environmental degradation is very apparent and alarming. Awareness about the environmental problems is very limited among the society in the region (see fig. 15 below). Fig. 15 shows People discharge toilet and domestic waste water to Little Akaki river, Addis Ababa, Ethiopia. Thus, it is necessary to build adequate sewage treatment facilities to the cities of the region so that the treatment can remove solid materials, digesting dissolved and suspended organic materials as well as the nutrients and phosphorous that are the causes of less dissolved oxygen in the water bodies. Heavy metals can bring major health effects through contaminating the water bodies. They don’t usually degrade and are toxic to aquatic life even at low concentration. The main health effects are associated with exposure to lead, cadmium, chromium, lead, nickel, mercury and arsenic, and drinking water (above the standard level of soluble copper and zinc) that doesn’t follow the regulatory compliance (see fig. 16 below). Fig. 16 shows A 25-foot (7.6 m) wall of coal fly ash contaminated with toxic heavy metals, resulting from the release of 5.4 million cubic yards of coal fly ash slurry into the Emory River, Tennessee, and nearby land and water features, in December 2008. Testing showed significantly elevated levels of arsenic, copper, cadmium, chromium, lead, mercury, nickel, and thallium in samples of slurry and river water. 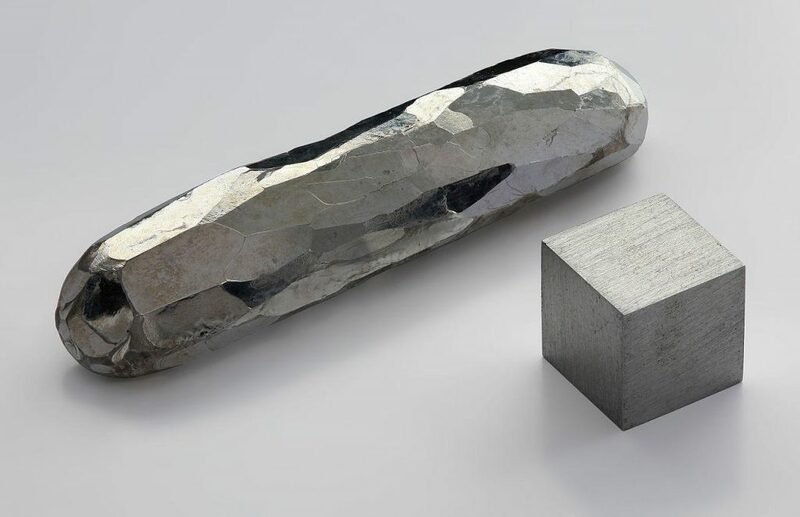 Cadmium compounds are currently mainly used in rechargeable nickel cadmium batteries and cadmium contained compounds are rarely recycled that may found widespread in the Sahel regions often dumped with household waste. 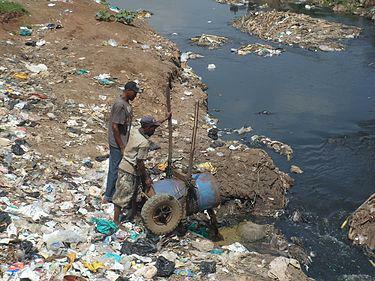 People can be exposed to it when the contaminates reach to the water bodies and measured should be taken to recycle such material instead of dumping with household wastes (see fig. 17 below). Lead exposure occurs in in our regions mainly through smelter when people welding of lead using painted metal, and in battery plants, ang motor garages. High level of lead air emissions can be deposited on soil and water, thus reaching human via as food chain (see fig. 18 below). Arsenic is a widely distributed metalloid occurring in rocks, soil, water and air. Smelting of iron-ferrous metals and the production of energy fossil fuel are the two major industrial processes that lead to arsenic contamination of air, water and soil  (see figs. 19 and 20 below). Fig. 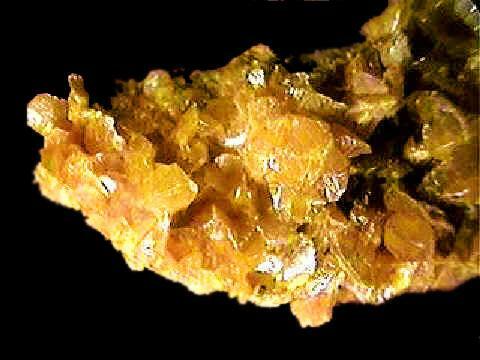 19 shows Oorpiment, a toxic arsenic mineral used in the tanning industry to remove hair from hides. Fig. 20 shows Potassium chromate, a carcinogen, is used in the dyeing of fabrics, and as a tanning agent to produce leather. Heavy metals contaminate can be removed firstly at industrial wastewater treatment where wastwater from the industries can be treated so that in the discharged effluent water comply with the local and /or national regulation before disposing into community treatment plants or rivers, lakes or oceans . SCEMO promotes the wastewater treatments development programme in the region such as; building adequate sewage, industrial and agricultural wastewater treatment facilities so that the pollutants can be reduced and follow the regulatory compliance and maintain environmental sustainability in the region. Land can be polluted by household garbage’s and by industrial waste. Fig. 21 shows improperly deposed wastes. Commercial or industrial wastes are a significant portion of the solid waste in which the hazardous once are dangerous and harmful to human health. They can be found in the form of liquid, solid or sludge wastes. The long coastal sea ports in the Sahel countries make the region vulnerable to the hazardous waste that can be generated from the port services and the busiest shipping lane on the sea. In cities industrial oil contaminations enters the stream from vehicle wash bays, workshops, fuel storage depots, transport hubs and power generation. Typical contaminants can include solvents, detergents, grit. lubricants and hydrocarbons. Often the wastewater that is discharged into local sewer or trade waste systems in Sahel countries have little or no enforced regulation. These discharged wastewaters must meet local environmental specifications and should be monitored through environmental man from polluting the region (see fig.22 below). Fig. 22 shows the treated industrial wastewater effluent with neutralized pH. The UN world report on the Fossil CO2 & GHG emissions of all world countries, 2017, or Emission Database for Global Atmospheric Research’s (EDGAR’s) Global Fossil CO2 emissions from 1990 to 2016 (EDGARv4.3.2_FT2016 dataset) released series report country-specific CO2 emission totals of fossil fuel use and industrial processes (cement production, carbonate use of limestone and dolomite, non-energy use of fuels and other combustion, chemical and metal processes, solvents, agricultural liming and urea, waste and fossil fuel fires). Excluded are: short-cycle biomass burning (such as agricultural waste burning), large-scale biomass burning (such as forest fires) and carbon emissions/removals of land-use, land-use change and forestry (LULUCF). 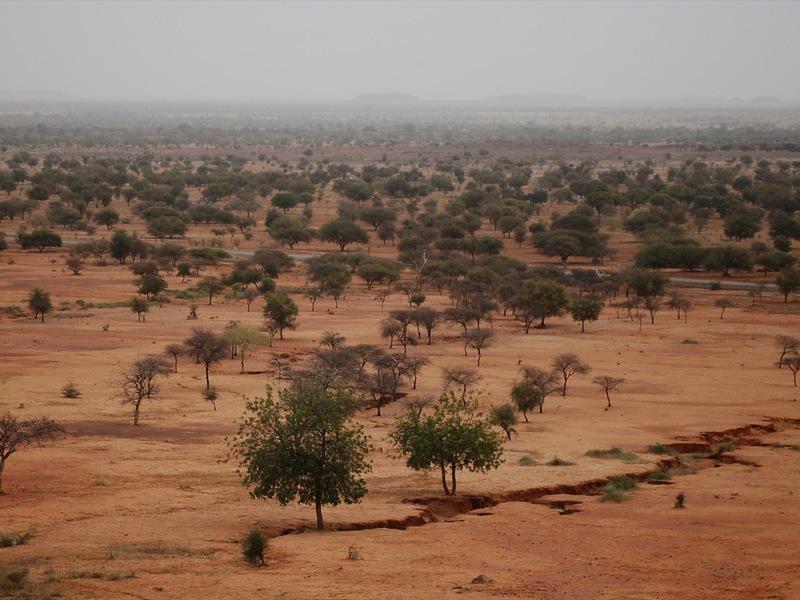 SCEMO’s organisation is contained within the environmental management programmes and reflects its core value that aims to establish a justified, equitable and a sustainable ecosystem in Sahel countries. SCEMO believes that a sustainable ecosystem can be achieved through a joint effort of Sahel countries towards the protection of the environment. monitoring the pollution level in the cities so that it allows us to reduce harmful pollutants from releasing into the atmosphere. Ibrahim Abdulkader; The Influence of Iron (FeCl3) dosing on the binding of Copper and Zinc to EDTA in Wastewater Treatment, 2010, Brunel University. Figs. 23, 24 and 25.